Coast TX395 Tactical Folding Knife. 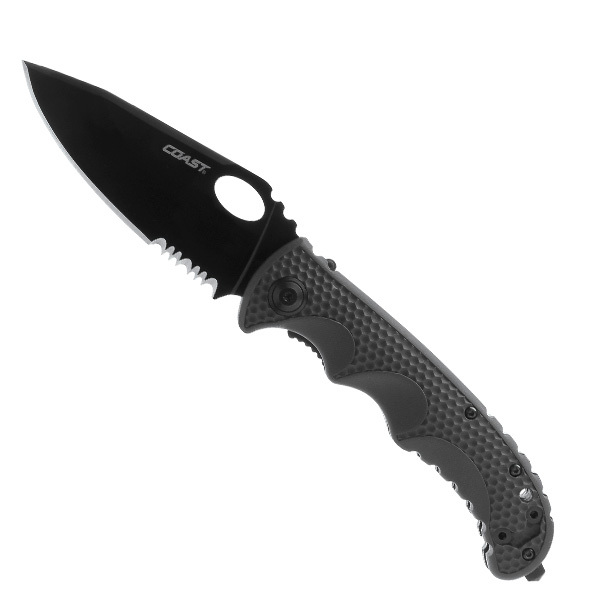 COAST’s first SPEC-OPS knives – the TX395 was designed and created through coordination with the U.S. Military. This 9Cr18Mov stainless steel tactical knife features one-handed opening and is safety equipped with COAST’s patented Double Lock safety system to prevent disengagement when the knife is open, even if the liner lock fails. The SPEC-OPS knife is just right for military personnel, tactical units or law enforcement personnel who need reliable, safe and high performance tactical knives for everyday use.Backed by Coast’s lifetime guarantee against defects in materials and workmanship.